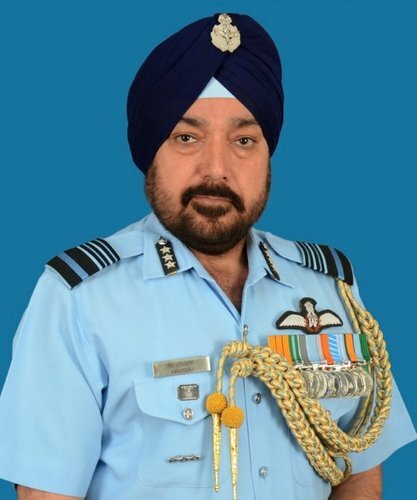 Air Marshal Harjit Singh Arora Ati Vishisht Seva Medal took over as Air Officer Commanding-in-Chief (AOC-in-C), South Western Air Command at Gandhinagar on Sunday. Born on 25 June 1961, the Air Marshal was commissioned in Indian Air Force as a fighter Pilot in Dec 1981. He has rich and diverse experience of accident free operational flying which includes MiG 21, MiG 29 and other aircraft in IAF inventory, including helicopters. He is a meritorious graduate of Tactics and Air Combat Development Establishment, Defence Services Staff College and National Defence College. He is also Master of Philosophy in Defence and Strategic studies. He commanded a MiG 21 Bison Squadron in the South Western sector and later was Commander of Air Defence Direction Centre in the same sector. He went on to command a premier MiG 29 Base on the western border and as an Air Vice Marshal he was Air Defence Commander at Headquarters of Western Air Command as well as Eastern Air Command. As an Air Marshal he has held the appointments of Director General (Inspection and Safety) and Director General Air (Operations) at Air Headquarters before taking over as the AOC-in-C. He has also served as Directing Staff at ‘Tactics and Air Combat Development Establishment’ and as a Flying Inspector in the ‘Directorate of Air Staff Inspection’. He was Defence Attache in the Embassy of India, Bangkok, Thailand from 2006 to 2009. For his distinguished service, he was awarded ‘Ati Vishisht Seva Medal’ by the President of India on 26 January 2011. The Air Marhsal is married to Baljeet Kaur Arora since May 1989. In a simultaneous function Mrs. Baljeet Arora took over as President, regional Air Force Wives Welfare Association.